Juan Carlos Alfonso Víctor María de Borbón y Borbón-Dos Sicilias, a.k.a. 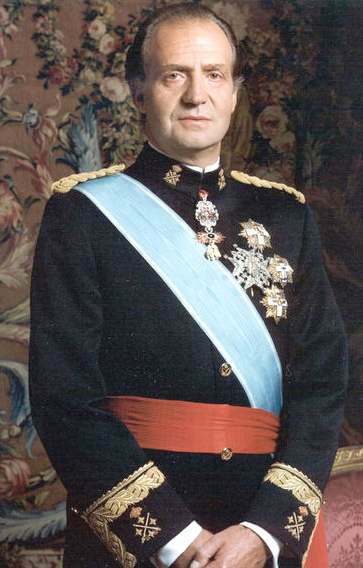 King Juan Carlos of Spain. He inspires me greatly. Spain today is a surprisingly stable constitutional monarchy and a Parliamentary democracy. For forty years, overlapping well into my lifetime, it was a fascist dictatorship. However throughout that time it was officially a monarchy, the king having been overthrown in the 1930s, and Franco carefully groomed the heir to the throne as his personal heir. When Franco died, Juan Carlos took over with all the powers of the former dictator. Which he then proceeded to give away. Within two years, elections to a new parliament; within seven years, a socialist government, and an attempted coup en route which failed largely because the king publicly announced support for the legitimate powers that be. It can be argued that even if he had tried to keep the dictatorship, he would have failed; the time for those things had passed in Europe. Spain now would probably be a republic, eventually democratic after a lot more blood and tears. But that happened peacefully and without tears, except for maybe a few on the far right sobbing into their sangria, but who cares.